"Creating positive role-models and improved behaviour and actions can play a big role in change." The images of weeping women still have not been replaced. We have yet to see a narrative on working women; be it as a brick kiln or factory worker or even a corporate employee. Her name was Maria and her rags-to-riches Peruvian life story in the telenovela Simplemente Maria (1969) launched the era of what can be termed as ‘entertainment-education TV soap operas’. Miguel Sabido, a Mexican producer inspired by the impact of the telenovela devised a methodology to make similar soaps for social change and national development. Although Simplemente Maria led to a surge in the sales of Singer sewing machines, Ven Conmigo, one of the six soap operas developed by Sabido, led to a million people enrolling for adult literacy classes, a 63% increase over the previous year. Ever since, the entertainment-education strategy has become ubiquitous in Social Behaviour Change Communication (SBCC) programmes the world over. As stated by Arvind Singhal and Everett M. Rogers in their study Pro-Social Television for Development in India, parasocial interaction is a seemingly interpersonal connection between audiences and the TV performer, as if she or he was a real person. Audiences perceive this relationship as if it were a face-to-face encounter and become genuinely involved with the character(s). In the case of Hum Log, (1984-85), the initial episodes focused on family planning issues within the Indian joint-family system. The numerous feedback letters the channel received prompted the scriptwriters to rewrite the storylines to focus on equality and family harmony; this eventually resulted in record ratings. 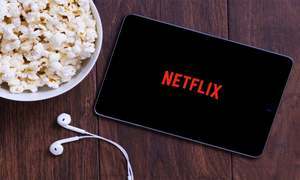 What differentiates a regular social drama from an entertainment-education one is that in the latter, the objectives are defined and embedded within the content. There are specific roles constructed on positive, negative and transitioning behaviours. Prosocial TV content means creating storylines and characters that depict socially desirable norms. Pakistan has not been far behind in terms of Social Behaviour Change Communication. The democratic era that began in 1988 brought in political support for population welfare programmes in Pakistan, and the Ministry of Population Welfare rolled out many family planning initiatives at the grass-root level and in the mass media. The Centre for Communication Programmes (CCP) in Pakistan, under the umbrella of the John Hopkins University (JHU), has been spearheading health-related behavioural change communication in collaboration with state institutions and private entities since 1991. Their most notable early initiatives on PTV were Aahat (1991) and Nijaat (1993); hugely popular dramas that tackled inter-spousal communication, unmet needs of family planning and maternal health. Under the Pakistan Initiative for Mothers and Newborns (PAIMAN), CCP developed the serials Paiman (2008) on PTV and Angoori (2010) on ATV. Now under the Maternal and Child Healthcare (MCH) project, CCP has launched a music video, Hum roshan to kal roshan, featuring pop stars Ali Zafar and Sanam Marvi and a TV serial called Sammi (scheduled for 2017 on HumTV). 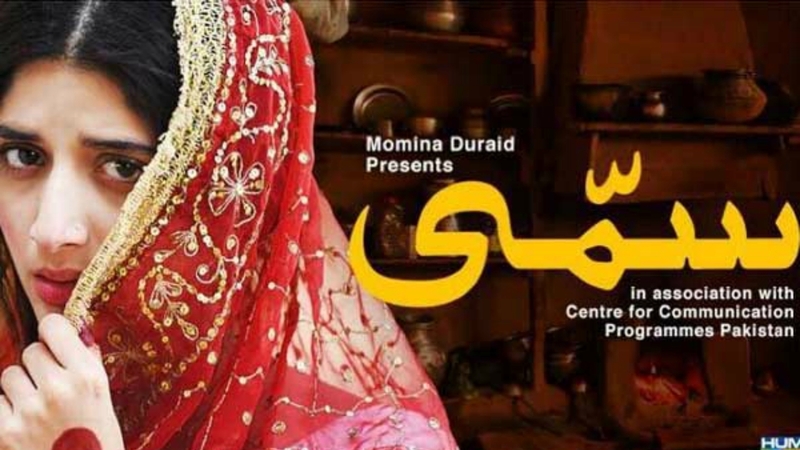 A new entrant into the entertainment-education arena is the Kashf Foundation which launched a women empowerment serial Rehaai (2013) and child abuse drama Udaari (2016) on Hum TV. 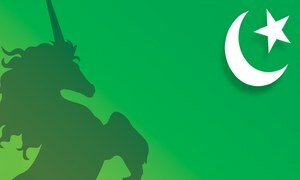 So how is the content for these new Pakistani entertainment-education serials developed? PTV’s Nijaat had multiple storylines within the setting of a rural, lower socioeconomic area. A nurse running a family clinic and a woman with frequent pregnancies were at the heart of the serial. It captured the issues of the time, including the Dubai-returned men, runaway children and the off-loading children in madressahs due to poverty. 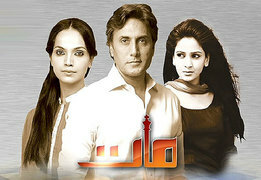 In the new era TV serials, there are distinctive positive deviances and visibly transitional roles. The character of Sheedan in Udaari who takes pride in being a marasan (local musician who sings at weddings) and supports her daughter in her professional singing endeavours is a positive deviance in the story. The transformation of Zebo and Meera into survivors who testify in court is a breakthrough in Pakistani TV history. Noticeably, the faces of the survivors are not veiled or wearing a chaddar when they record their testimonies (as opposed to what actually happens in real life). It was an ambitious and a bold move, although one that may have made this critical act unbelievable for audiences, thus pushing it into the ‘fantasy and fiction’ category. Then, the deceptively innocent-looking perpetrator was turned into a caricature in the final crucial episodes, with his wadera-style get-up and bizarre facial tics. We had Marina Khan’s tail-hair strand hanging from her short haircut in Nijaat creating a buzz back in the day, yet this was secondary to her role. 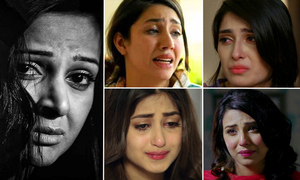 It is unusual for social dramas to garner high ratings, but we have seen exceptions with Rehaai and Udaari. Hum TV already enjoys good ratings among entertainment channels (source: Kantar Medialogic Annual Report 2014-15). In the case of Udaari, Hum TV achieved the highest ratings during specific time brackets within the eight to 10:00 p.m. slot and more remarkably, their ratings surpassed even those of other Hum TV serials, notably the popular drama Mann Mayal. 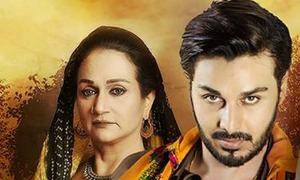 Udaari had the highest rated episode among the top 10 entertainment programmes in the month of August 2016, and jumped to the second position among leading channels in the seven to 11:00 p.m. slot (source: Kantar Medialogic August 2016 Report). So is television important for healthcare communication? In its 360 Degree Media Report, 2015, the CCP Pakistan noted that Sukkur has the highest number of Lady Health Workers (LHW) compared to Sanghar, Mirpur Khas, Umerkot and Matiari, yet out of the main sources of information on health issues, people of reproductive age there rely on TV more than on LHW or midwives. 'Sammi' aims to shed light on social customs like vani (or exchange brides), and also how women are forced to continuously bear children till they produce a son. So have we (thanks to the collaboration of an NGO and a TV channel) come up with a replicable model where both pro-development goals and high ratings can be achieved? Perhaps we have stumbled upon a Simplemente Maria template that works in the cluttered media space? Are we onto a breakthrough in behaviour change communication in the Pakistani media context? 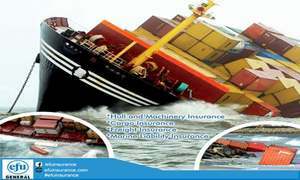 We will have to see how this trend pans out and there are too few case studies at the moment to make a call. It hinges on the compromises that TV producers and pro-development agencies have to make. We still have not seen regional language dubbing and airing on regional channels of any of these successful serials. (Un)luckily media buying houses are still focused on time slots as opposed to content when pitching to advertisers, so there is still room to experiment and even with the proliferation of paid cable TV services, PTV still has the widest reach and there is an opportunity to rerun these soap operas during different time slots to address other demographic groups. 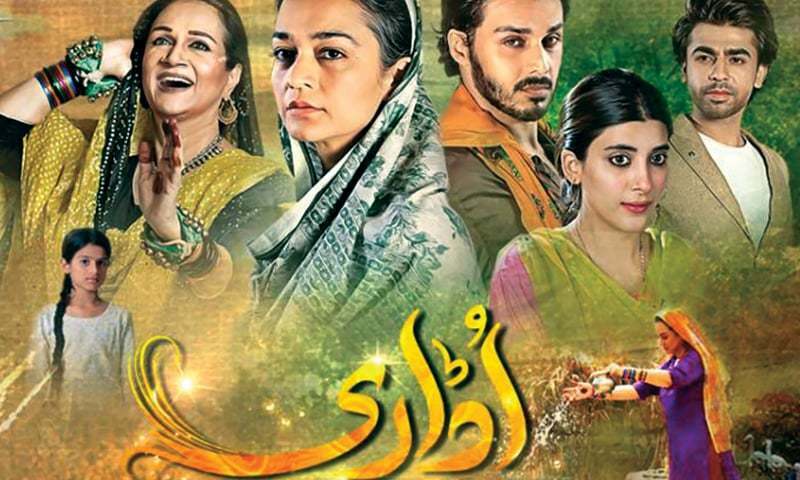 Udaari, Rehaai and the forthcoming Sammi have aimed to break the monotonous themes of saas-bahu and second marriage family dynamics, but the images of weeping women still have not been replaced. We have yet to see a narrative on working women; be it as a brick kiln or factory worker or even a corporate employee. Sadya Siddiqui has expertise in Marketing Communications and is pursuing an M.Sc in Poverty Reduction, SOAS, London. Udaari is an eye opener. It will certainly increase the awareness and will make difference. Parents will be more conscious about children. However, Sammi is watched just for entertainment. Educated & civilised people anyway know that Vani is wrong. On the other hand, people doing Vani will not be affected by tv dramas anyway. Showing negative and especially extreme negative glorifies them and increases it. These sadistic pieces only glorify the ills of the society. Rather than spreading more such idea's, why don't all try to inculcate good values with a positive sense. For example make a drama that shows immense love and respect for daughters. Show all what to do. Don't give more ideas to an already subconciously sick society. @AWS Yes indeed. Well put.